Wonkee Donkee Forest Garden is an official stockist for Forest Garden, the leading British supplier of outdoor timber products. We offer free delivery across the UK mainland, and also provide a range of knowledge guides on our website to help customers make informed choices. An assembly service is available on many of our larger products. 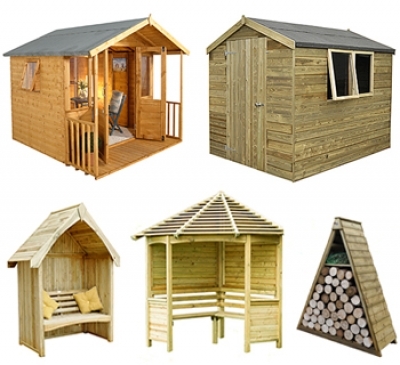 We have a huge selection of quality sheds, summerhouses, workshops and log cabins. Our small storage options such as tool stores, wall sheds and log stores are ideal where space is limited, and children will love our playhouses. For outdoor dining and entertaining we supply both modern and traditional garden furniture, as well as arbours, arches, gazebos, pergolas and decking. There is also a wide choice of wooden planters and raised beds, along with traditional timber-framed greenhouses.